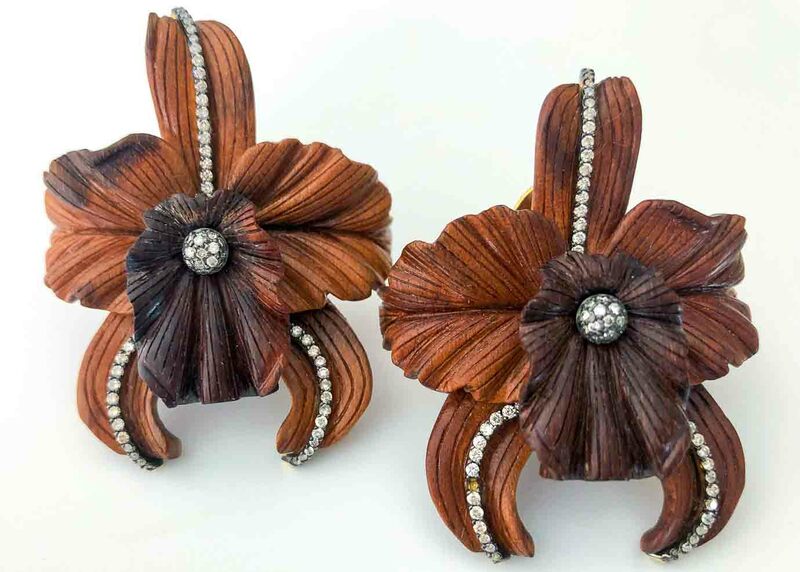 Silvia Furmanovich botanical orchids rendered in her signature marquetry, the striations in wood having an incredibly realistic effect. 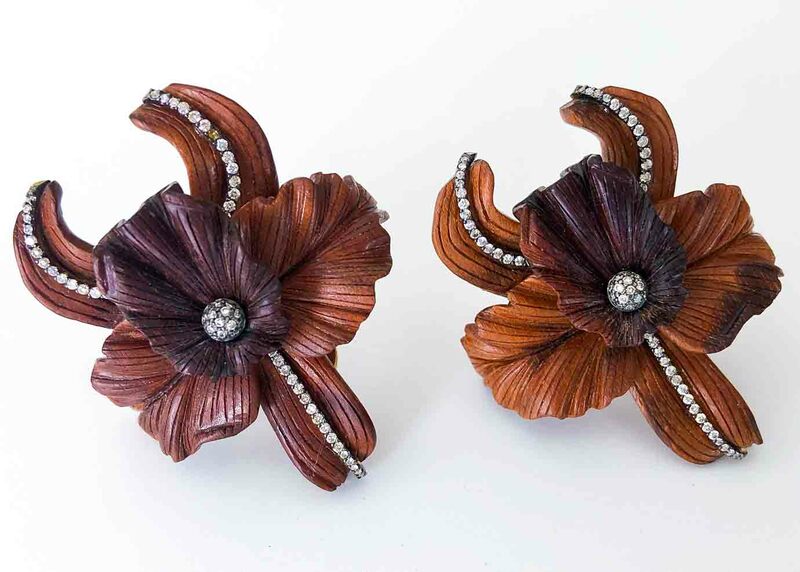 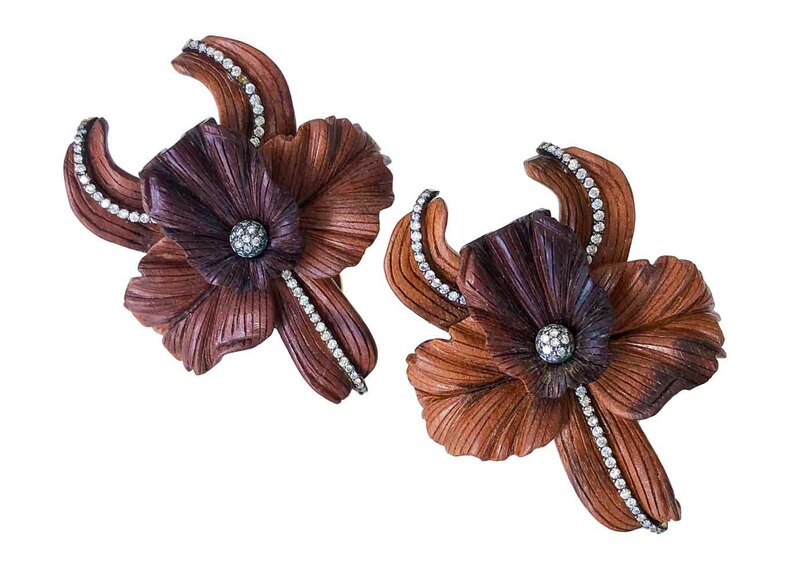 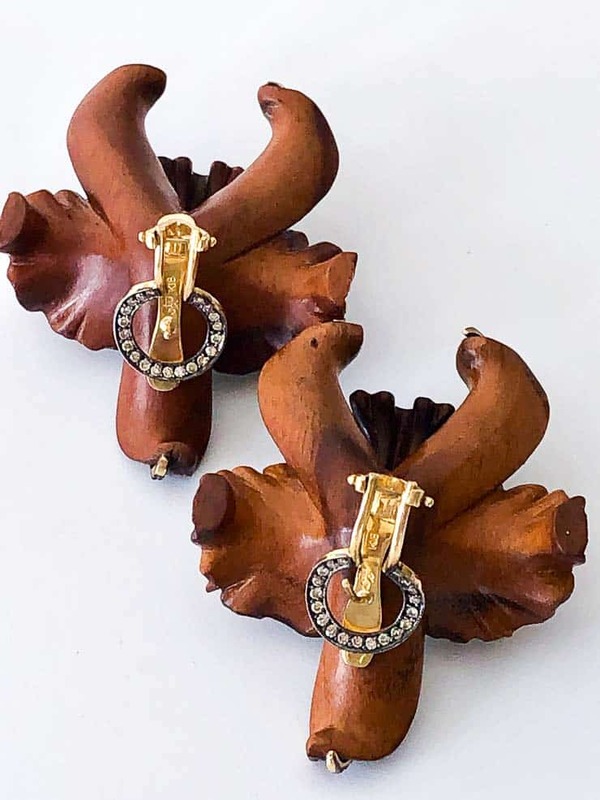 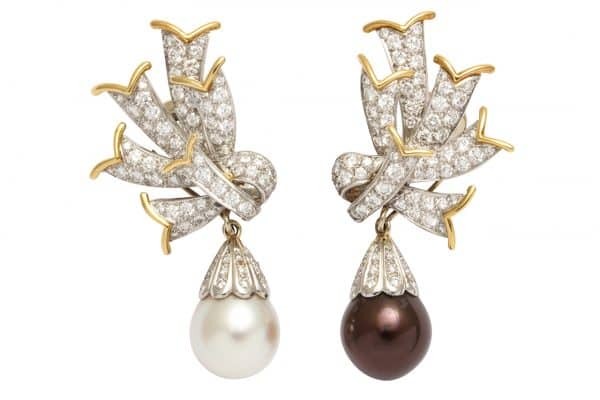 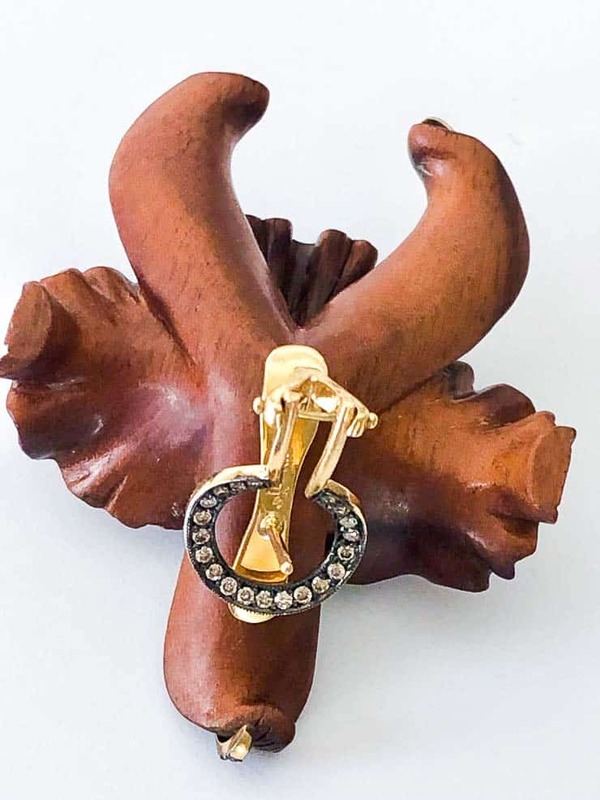 Light and dark brown diamonds accentuate the veining on the orchids. 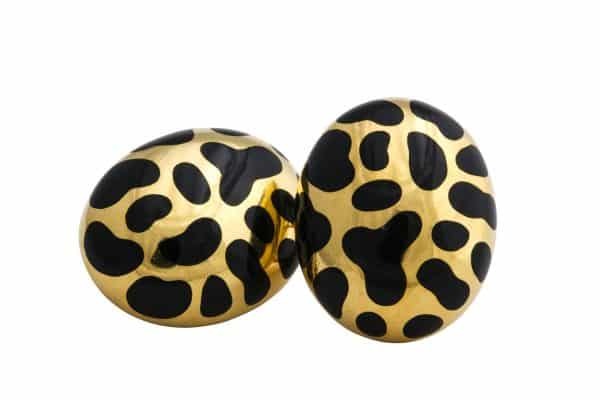 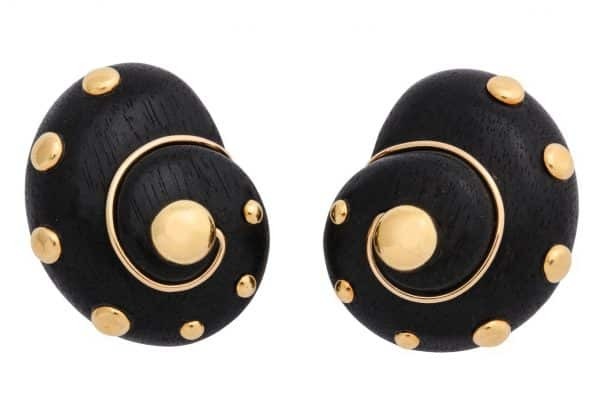 Large but light, for pierced ears but may be made clips. Signed Silvia Furmanovich.